The Supreme Court yesterday declared that the expulsion of Parliamentarian Tissa Attanayake from the membership of the United National Party was invalid. The letter of expulsion conveyed to petitioner Attanayake was also declared invalid. The Court said that no explanation had been called from Attanayake prior to the decision to expel him from the party and no proper inquiry held. 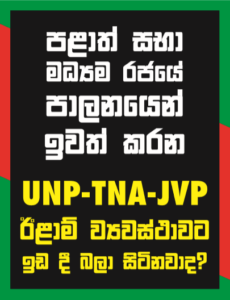 There was no evidence to show that the matter had been placed before the Working Committee of the UNP. There had been an absolute violation of natural justice. Sustainable Development – Is Sri Lanka on the right path?